Hrvoje Nikolić held a popular science lecture entitled "Kvantni trikovi: Kako izgleda mikrosvijet dok ga ne opažamo?" ("Quantum tricks: What does the microworld look like when we are not observing it?") on 11th of October in Bogdan Ogrizović Library in Zagreb as a part of "Priroda uživo" series of lectures. 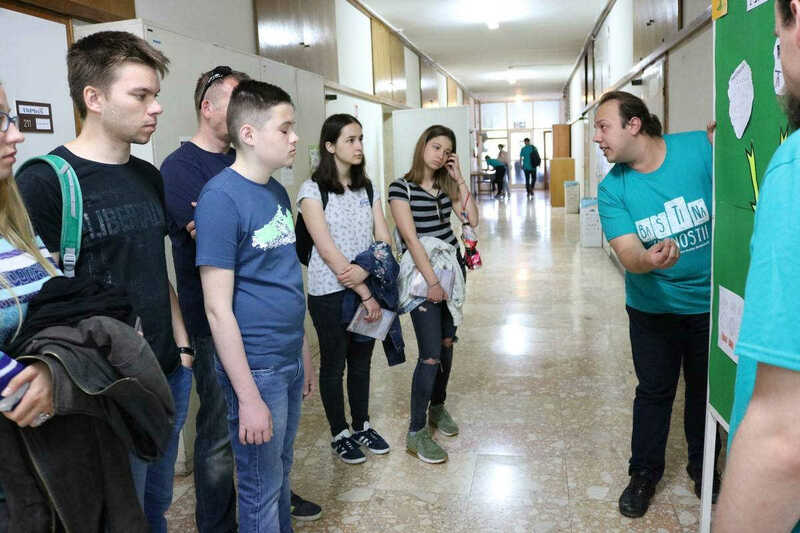 Grgur Šimunić participated in the event "Summer School of Science S^3++", an international, interdisciplinary camp for high school students organized by Society for Out-of-frame Education. 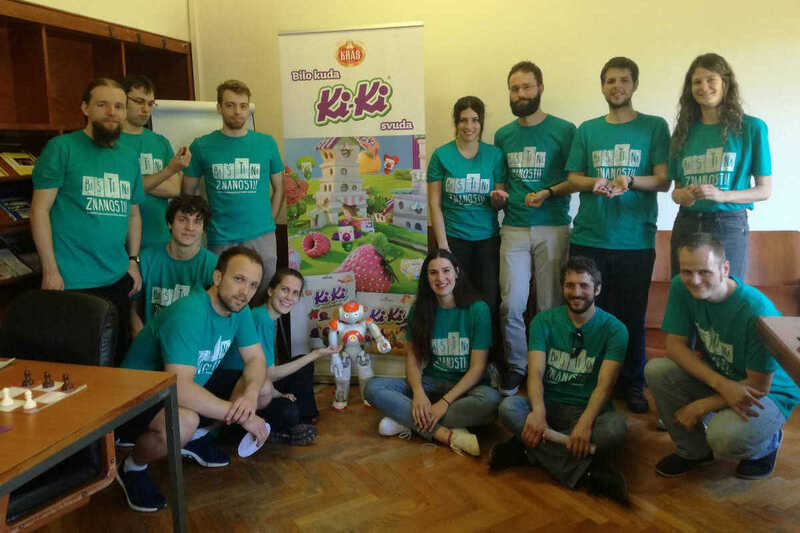 The school was held at Gimnazija Požega from 9th of August 2018 to 19th of August 2018. 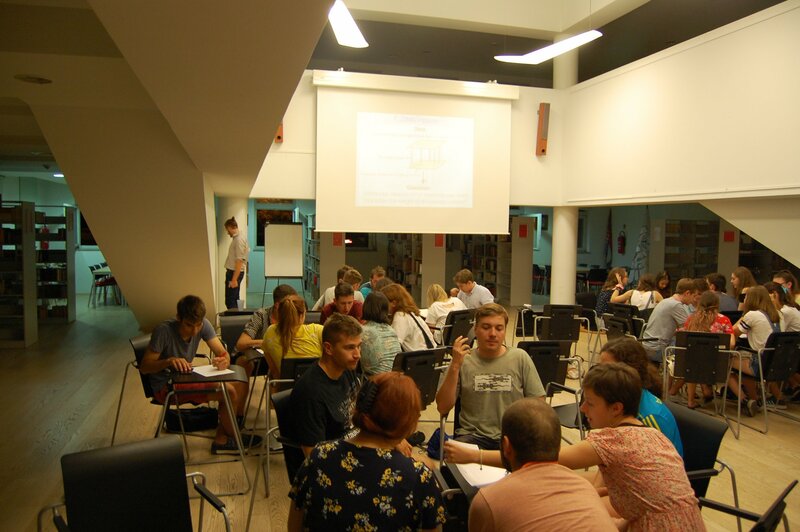 The participants had the opportunity to work on one of the projects prepared for the camp. The projects involved different areas of science such as mathematics, physics, chemistry, material science, biology, neuroscience, evolutionary psychology and computer science. 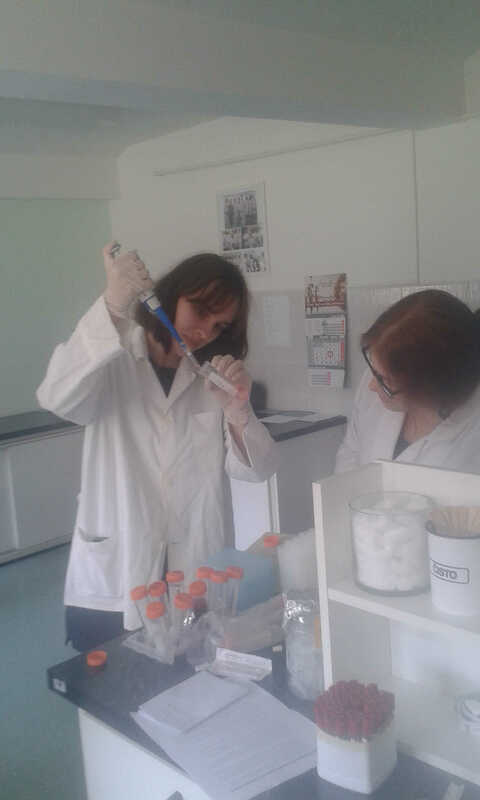 During their projects, the students have gained valuable experience and gained insight in how scientific research looks like. 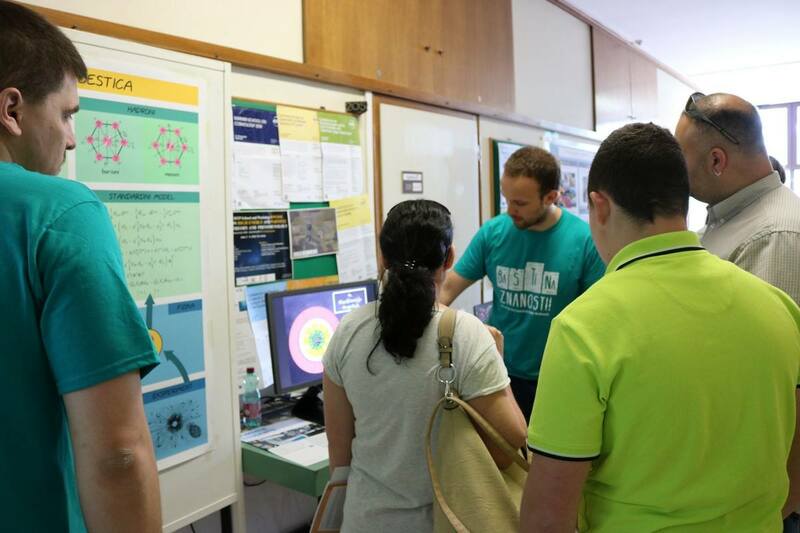 Members of the Division of Theoretical Physics, together with members of Division of Electronics and few external associates, participaded in the science popularization event "BašTina znanosti" which was held at the Ruđer Bošković Institute on 19th of May 2018. 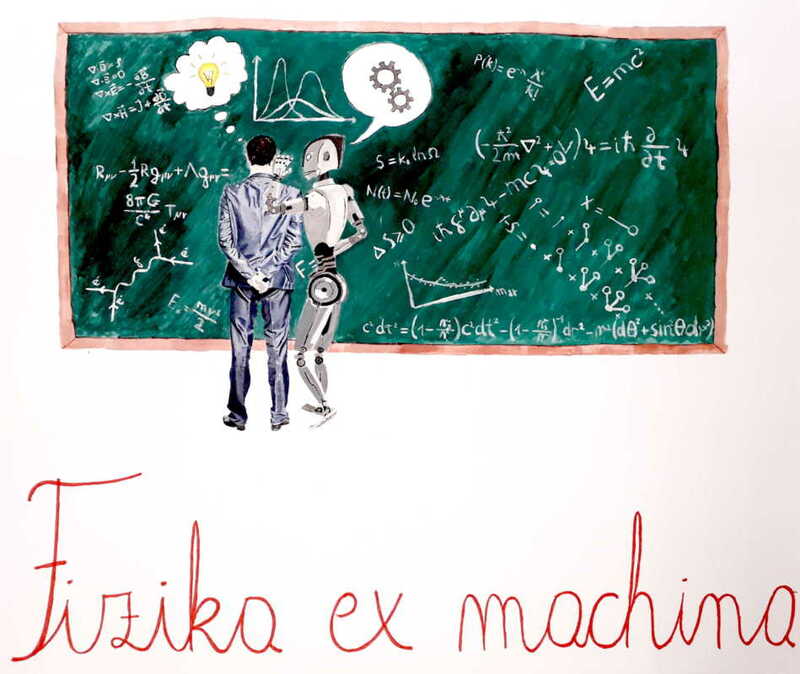 Selected topics from theoretical physics and machine learning and were presented to the wider audience at the "Fizika ex Machina" post. The presentations included a workshop on the machine learning, as well as interactive poster presentations which included topics of particle physics and solid state physics, as well as selected applications of machine learning. 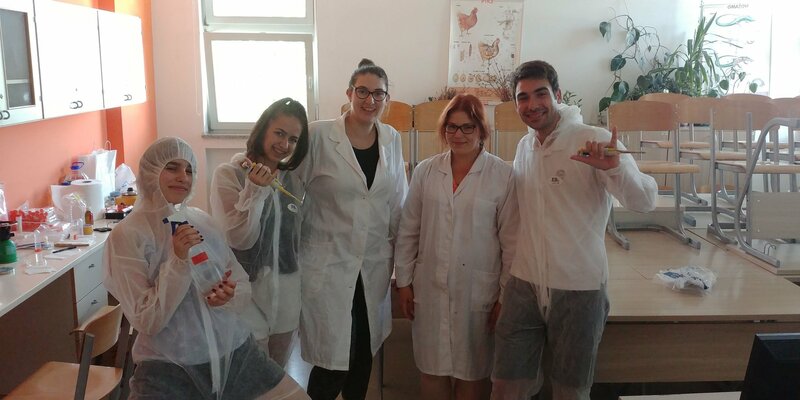 Young members of the Division of Theoretical Physics participated in the science popularization event "Čuvari budućnosti" which was held at the Ruđer Bošković Institute on 13th of May 2017. 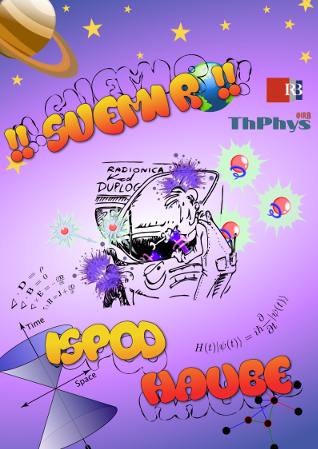 Research activities of the division and selected topics from theoretical physics were presented to the wider audience at the "Svemir ispod haube" post. The presentations included a workshop on the physics of sound and oscillations and spectral analysis in general, as well as interactive poster presentations which included topics of particle physics, complex networks and gravitation.